Flo- Master—The No Frills but affordable necessity! The M45 is an ideal unit for homes under 5,000 ft2 / 550m2 Its high water lift works well with today's versatile, air-driven powerbrushes to develop maximum cleaning in all areas of your home. 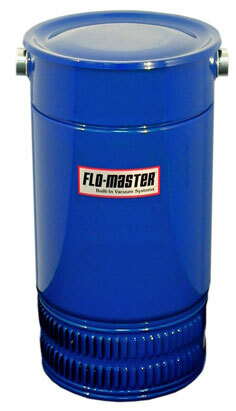 Flo-Master M45 gives you power, long lasting dependability and low maintenance.